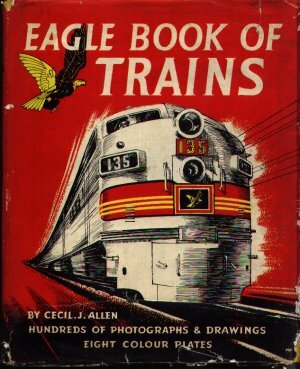 Eagle Book of Trains is from the age of steam, just as the alternatives to steam were beginning to appear. Underground and overground, through tunnels, up mountains - all aspects of the railway systems are covered, with several plates in colour showing cutaway diagrams. The Flying Scotsman, No. 4475, is shown in a 1928 photograph along with many other famous locomotives. Find out that South African railways are only 3ft 6in. wide.